Ms. Jagling has a J.D. from Roger Williams University School of Law (RWUSOL) and her undergraduate degree from Assumption College. While attending RWUSOL, she was Executive Articles Editor of the Law Review. She is currently President of the RWUSOL Alumni Association. Jillian Jagling is an accomplished attorney with experience in both the public and private sectors. She represents and provides legal advice to public entities, including municipalities and public authorities, in connection with the construction, improvement and operation of all types of public facilities and operations, including water and wastewater facilities, municipal buildings, recreational facilities, transportation systems, solid waste management, and other public projects and facilities. Her practice includes, structuring procurements from start to finish, including drafting and managing the procurement process, drafting and negotiating contracts, project financing, contract management and governance, as well as disputes. Many of these public projects incorporate alternative project delivery models including design-build, design-build-operate, and public private partnerships. She also provides counsel on matters related to municipal law and regulations, including energy management, zoning, land use, planning, conservation, and labor and employment, among others. Additionally, Ms. Jagling advises for-profit and nonprofit businesses on corporate formation and dissolution, operating agreements and bylaws, contract drafting, negotiations and interpretation, and trademarks. 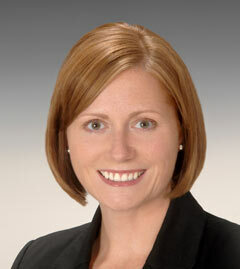 Ms. Jagling’s previous roles include an Associate with another law firm and in-house counsel with an insurance company. Ms. Jagling also served in the United States Army Reserves for eight years, during which time she was with the 3rd Legal Support Operations Unit in Boston, MA as a paralegal.